L. G. Doc Ferris arrived in Florida in 1925 with dreams of becoming rich. His sights were set on Duval Island, in historic Floral City, Florida, and he planned to create a golf course community for retired millionaires. Plans for the golf course were scrapped, however, when the bottom dropped out of Florida’s real estate market. 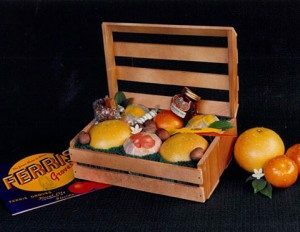 Always a creative thinker, Doc regrouped in 1930 with a new plan: He established Ferris Groves and became a farmer – a citrus farmer, to be exact. Even though Doc knew nothing about citrus, he felt certain that in just a few short years, he would be selling citrus on a large scale. In 1931 Doc began planting citrus trees in the rich, hammock soil of Duval Island, which had formed over thousands of years from decayed vegetation of primeval forests. The trees took root in the fertile ground and, bolstered by Doc’s magnetic personality and innate talent for marketing, the business took off. With Doc Ferris’s death in 1975, Harriet Ferris, Doc’s wife, took over management of Ferris Groves. But the 1977 freeze caused more damage than she could withstand. 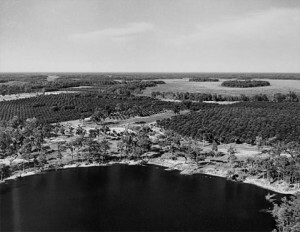 In 1979, Mrs. Ferris sold Ferris Groves, its retail store and packing house to Southern Citrus Corporation (SCC). SCC went to work cleaning up and fertilizing the grove. In only a year, the citrus harvest had doubled and optimism was high, but, unfortunately, short-lived. Christmas Eve 1983 brought temperatures low enough to freeze the fruit rock-solid. Another freeze in 1985 finished off all but a few trees left standing in the grove. 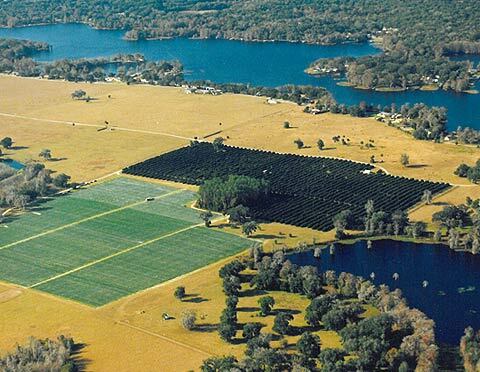 It was the most devastating period for Florida citrus growers in nearly one hundred years. SCC searched for another crop to complement the remaining citrus, putting its faith in the rich, hammock soil that had supported the groves for fifty years. The Ferris Berry, the sweetest of strawberries, was born. In spite of catastrophic freezes in the eighties, the rich, hammock soil of Duval Island has continued to produce the delicious citrus for which it is known; Navel and Valencia oranges, Ruby Red grapefruit, and Fall Glow tangerines currently occupy 24 of its acres. Our farming practices continue to evolve. In the 2007 – 2008 season, Ferris Groves picked more strawberries than any farm of its size in the state of Florida. Production of the Ferris Berry strawberry has increased by 60% over the last 2 decades, and our blueberry operation has doubled. Both berries are a favorite of Floral City residents, who find them in our retail store, and of shippers, who appreciate their fine, sweet, consistent quality. Always seeking to innovate, Ferris Groves has partnered with scientists from the University of Florida in trials designed to improve plant nutrition and provide a natural approach to pest control.